I first saw this 1961 Ashley/Tornado 1172 as an enquiry on the PistonHeads.com website. sold it in 1963, so I emailed him to introduce myself and this website and to offer to list it, I also asked for more details about the car. I was very pleased to read your email and also to find that my car was of interest to you. These pictures are of a car I built between '58 and '62 whilst an apprentice at the Sun Printers in Watford. 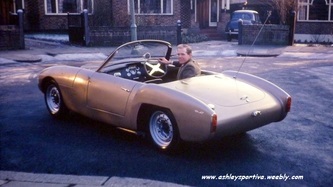 The chassis is Tornado (from just down the road in Rickmansworth) and the body Ashley Laminates. As the two wheelbases were different the rear arches were altered to fit the body. Incidentally whilst collecting parts for my car at the Tornado factory I had turned up in my father's brand new Triumph Herald. The moment I arrived I was requested to open the bonnet so they could investigate the front suspension of this just announced design. I didn't realise it at the time but what they were interested in was the rack and pinion steering and the front upright, I guess this was with the still to be announced Talisman in mind. 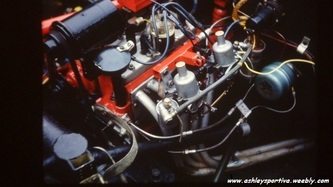 The engine was rebuilt using as you can see twin SU's on a 4-branch tubular manifold. 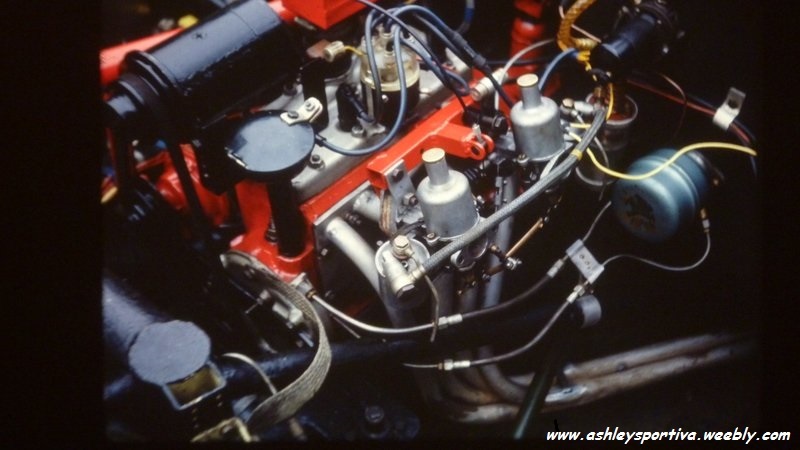 There is also an Aquaplane valve chest cover with take-offs for a remote oil filter, also fitted is an 'export' water pump, required because the crossflow radiator was too low to thermo syphon. 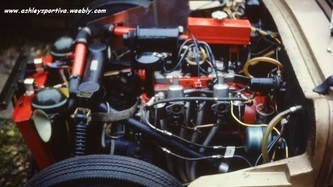 The rear axle had a high ratio crown wheel and pinion and the wheels were changed for 15" Ballamy items. The cable brakes were converted to hydraulics with a kit from Watling Cars in Radlett (near St. Albans). The floor and bulkheads were marine grade plywood glassed in to the body. I went to Roy North's workshop in Watford ( the local TR 2/3 racing hero to us youngsters) to have the twin SU's re-jetted and the result was a revelation, it then being able to just about keep up with a Sunbeam Alpine. I don't doubt this was down more to low weight than horsepower however. 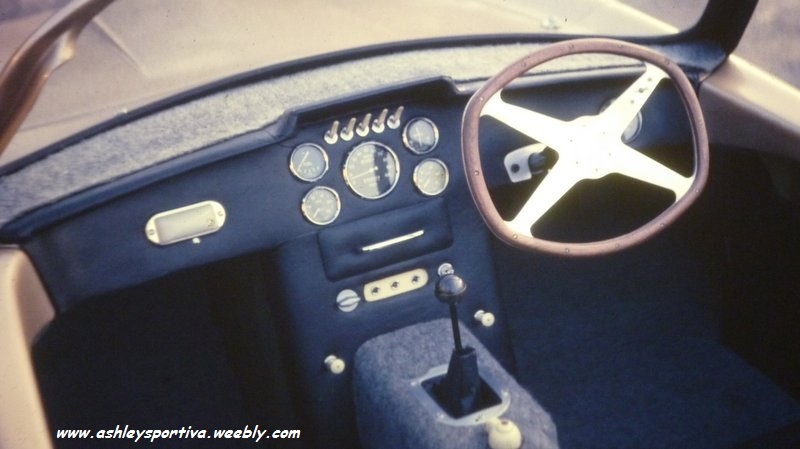 I made the quartic steering wheel simply because my legs wouldn't fit beneath a round one, perhaps the later Allegro had the same problem? 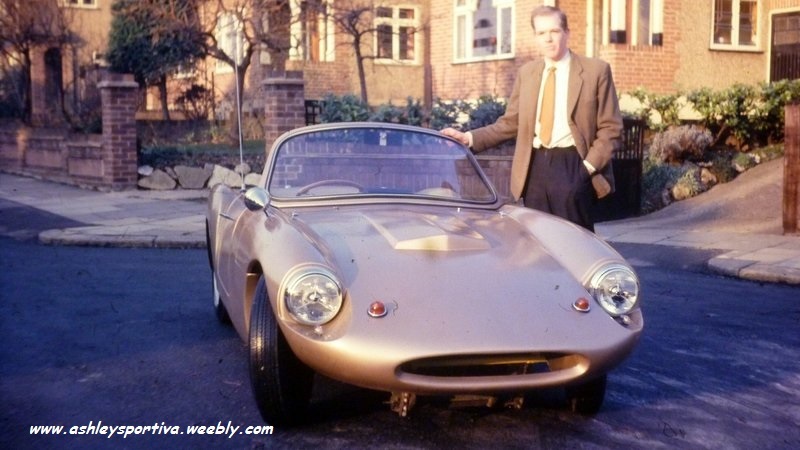 I sold the car in 1963 to a dealer and the last I heard was that a chap at the de Havilland Aircraft factory had bought it. I'm now in my seventies and I still have a fondness for fibreglass, the fun for me was always in the building rather than the driving. The build took me four years mainly because of lack of money and also because I discovered girls along the way! In fact we drove the car to Zandvoort to watch the Dutch Grand Prix in 1963 on our honeymoon. I have always enjoyed low volume specialist cars and to this end in the '80s rebuilt a Lotus Europa Twin cam onto a new chassis. 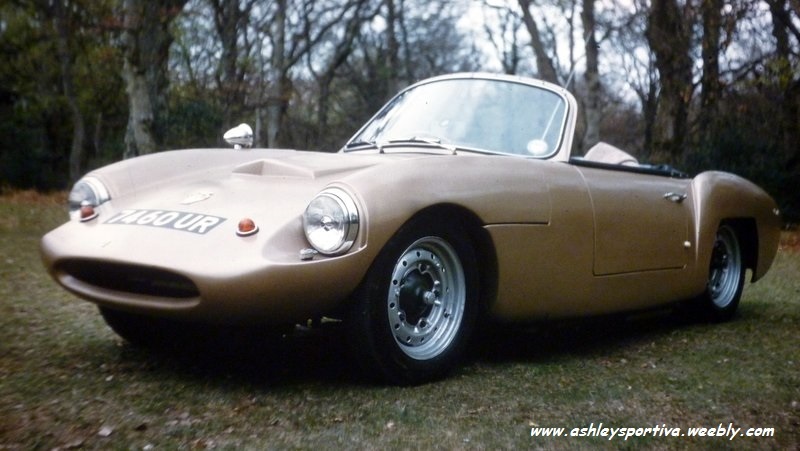 My current fun car is a TVR Griffith 500 which follows the same route of fibreglass body on a separate chassis... however with slightly more performance than the Ford E93A. I'm not sure what I registered the car as but I guess it might well have been 'Ford Special'. I do remember that fully comp insurance cost me £29.00! Please feel free to add any of this to your register, you never know someone might recognise it. We old constructors all have I'm sure a desire to find out what became of our creations, to see if they survive or not, so if you know anything about this car (indeed any of the cars on this website) please email me and I will pass it on to those I know and of course add it to the respective page of this site. Alex is very keen to find out more so email me if you can help.